For all people sentenced in Queensland Supreme, District or Magistrates Courts, an offender levy fee is a mandatory payment. Southern Queensland Correctional Centre has now shut down. It is being renovated and is to reopen as a second Women’s prison in early 2019. Accordingly the majority of the inmates have been transferred to Borallon Training and Correctional Centre, just 15 minutes outside of Ipswich. On 26 October 2017, the Sentencing Advisory Council received Terms of Reference from the Attorney General regarding the “penalties imposed on sentence for criminal offences arising from the death of a child” The AG noted that there has been commentary expressing the view that the penalties imposed for these offences may not be meeting the expectations of the community. The Queensland Sentencing Advisory Council is to report back by October 31 2018. If you need advice regarding a legal matter or legal representation, please contact Gatenby Criminal Law on (07) 55800120 or send us a message online. On 26 October 2017, the Sentencing Advisory Council received Terms of Reference from the Attorney General regarding “community-based sentencing orders, imprisonment and parole options”. At the core of the sentencing process is the effective rehabilitation, reintegration and supervision of prisoners released into the community. Other than those serving a life sentence, there must be an acknowledgment that at some point an offender will be released back into the community. Parole is crucial in reducing the risk of re-offending by those under supervision, prior to the end of their sentence. The terms of reference are in response to the recommendations in the 2016 Queensland Parole System Review Final Report undertaken by the new president of the Court of Appeal, Walter Sofronoff. The examination of the parole system in followed widely published media reports of the alleged murder of Elizabeth Kippin by a man on parole. Recommendation 2: Court ordered parole should be retained. Recommendation 3: A Court should have the discretion to set a parole release date or a parole eligibility date for sentences of greater than three years where the offender has served a period of time on remand and the Court considers that the appropriate further period in custody before parole should be no more than 12 months from the date of sentence. Recommendation 4: A suitable entity, such as the Sentencing Advisory Council, should undertake a review into sentencing options and in particular, community-based orders to advise the Government of any necessary changes to sentencing options. Recommendation 5: Court ordered parole should apply to a sentence imposed for a sexual offence. The Queensland Sentencing Advisory Council is to report back by 30 April 2019. On 19 October 2017, the Attorney-General and Minister for Justice Yvette D’Ath officially opened Southport’s permanent specialist Domestic and Family Violence Court. The renovations reflect the caseload of Southport’s specialist DFV court which has dealt with more than 12,000 matter since the trial began in September 2015. Video conferencing facilities for female victims too fearful to attend court in person and witnesses. The $2.69 million renovation to upgrade Southport courthouse is in addition to the $69.5 million previously allocated to domestic and family violence courts in the 2017-18 State Budget. The opening follows the appointment of two specialist Magistrates for the Southport DFV Court – Clare Kelly and Louise Shepherd. Do you require legal advice or representation regarding a domestic violence matter? Call Gatenby Criminal Law now on (07) 5580 0120 or send us a message online. Since the introduction of the Justices of the Peace and Commissioners for Declarations Act 1991 there have been many multiple amendments to the role and obligations of both the Justices of the peace and commissioners for declarations. The JP Handbook has been updated many times to reflect these ongoing changes. In an effort to assist Justices of the Peace the Queensland Government has released a new loose leaf service that can be easily updated. The online version of the new guide can be accessed here or alternatively you can order the loose leaf serviced through the Queensland Government Publications website. Justices of the Peace have a long history of assisting the community as voluntary legal officers. Queensland has more than 86,000, JP’s and Commissioners for Declarations. They each play an important role in the judicial system and often acts a preliminary check and balance against the power of the state. Particularly in relation to criminal matters, the Justice of the Peace is required to exercise their discretion when considering a police application to issue a warrant or summons. The new guide details the how, what, why and when of witnessing multiple types of documents – from Titles Registry forms, statutory declarations and affidavits through to family law documents, wills and advance health directives. The new guide will assist Justices of the Peace in the exercise of their duties. 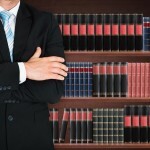 What to do if you can’t afford a criminal lawyer? A criminal case can be quite costly whether you are the one filing the lawsuit or you are on the defense side. Not everyone is financially capable to be in such a situation. However, it should not hinder you from getting yourself properly represented in the criminal court. 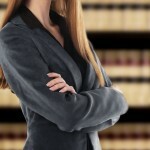 Legal Aid in Queensland can help you get a criminal lawyer even if you cannot afford to hire one. If you would like a legal aid to help get you a criminal lawyer, you should call LAQ or visit a regional office to get a free legal advice. Afterwards, you will accomplish an application form for a grant of legal aid, which is available through LAQ’s website, regional offices or one of LAQ’s preferred law firm supplier. Not all applicants will get free legal representation with their criminal case though. Legal Aid in Queensland requires certain criteria that will help determine if the applicant can be given legal assistance without contribution, with initial contribution, or is not eligible for legal assistance. To find out if an individual is eligible for the grant, he or she must pass LAQ’s Means Test and Merits Tests. The criminal lawsuit should also fall within the scope of the organisation’s criminal law guidelines. If your legal aid application to get a criminal lawyer is most unfortunately not granted, then you can try approaching some of LAQ’s preferred law firm suppliers like Gatenby Criminal Law firm. 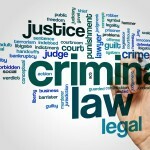 Gatenby Criminal Law also gives free initial consultation and fixed fee quote if you choose our Criminal Lawyers. We can appear as solicitor advocates and reduce the extra costs associated with criminal representation. 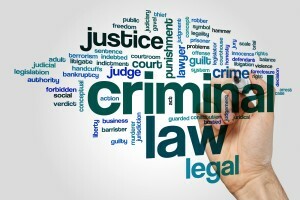 Contact us and we will provide the best criminal lawyer to represent you at the most cost effective way possible. On 4 May 2017, Queensland’s Attorney-General announced the appointment of Retired Justice Margaret McMurdo as the new Chair of the Legal Aid Board of Queensland. Justice McMurdo retired as a President of the Court of Appeal in March this year. Her Honour was first appointed in January 1991 and was appointed President of the Court of Appeal in 1998. Her Honours appointment is welcomed by members of the legal profession. If you need financial assistance for a legal matter you may be entitled to legal aid (provided you meet their criteria). The Queensland Government is seeking input from the community on a review of the Queensland’s Right to Information Act 2009 and Information Privacy Act 2009. Following the Fitzgeral Inquiry (1987 – 1989), the Electoral and Administrative Review Commission recommended that Freedom of Information laws be introduced in Queensland. The Freedom of Information Act 1992 was the governments response. It permitted access to information upon application. In June 2008 the Solomon Report was handed down. It proposed a difference approach, in that government bodies ought publish information unless there was a good reason not to. The response was the Right to Information Act 2009 and Information Privacy Act 2009. Both of these Acts are an important part of Queensland’s legal framework. They balance the need for access to government information and the rights of individuals to have information remain confidential. The Attorney-General (Qld) now seeks submissions from the public. Any comments or submissions are to be provided by Friday 3 February 2017. The State of Queensland (Department of Justice and Attorney-General), 2016 Consultation on the Review of the Right to Information Act 2009 and Information Privacy Act 2009.